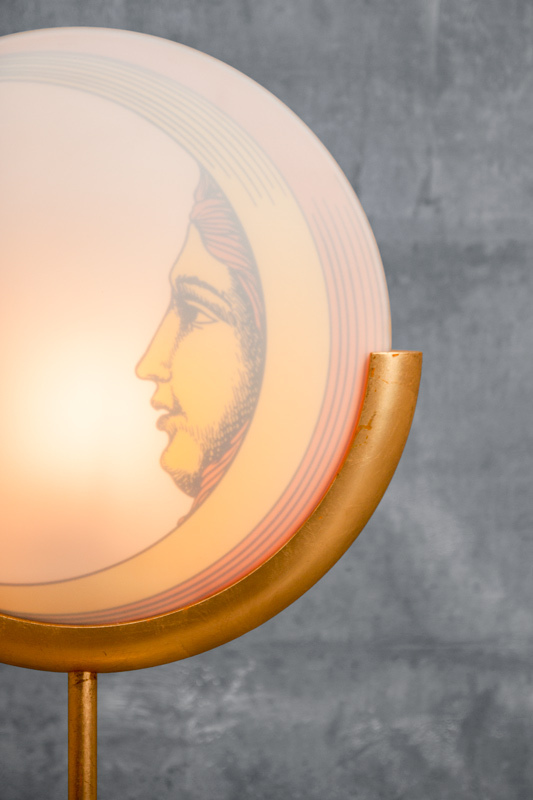 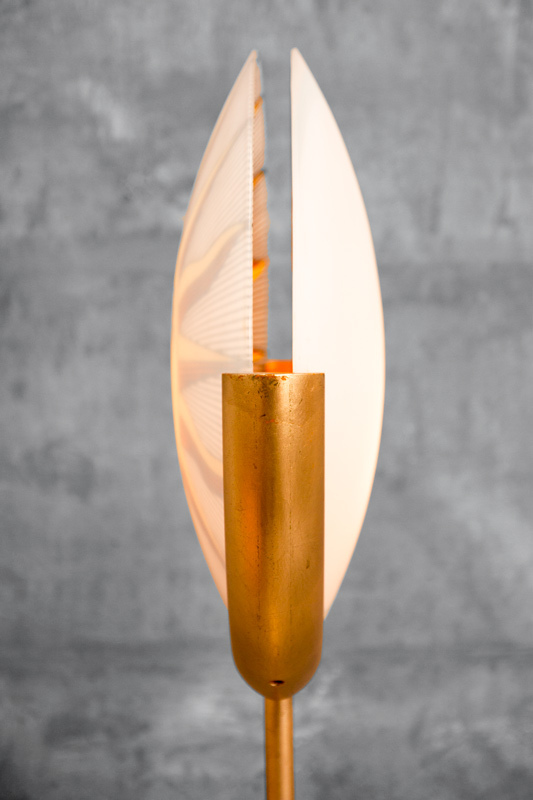 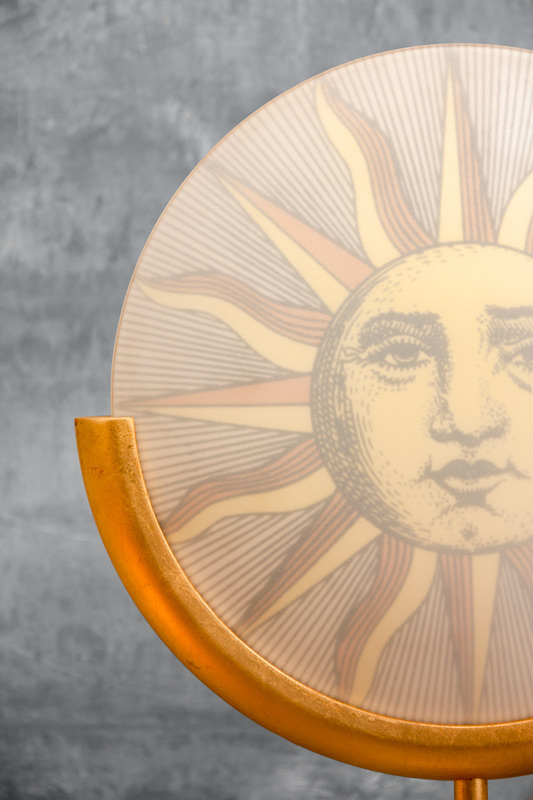 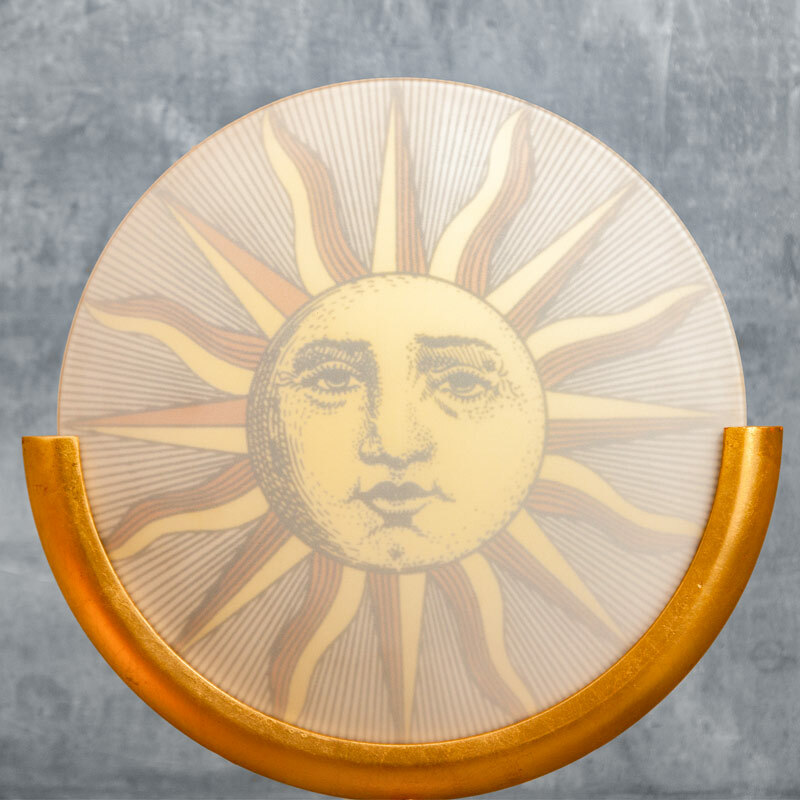 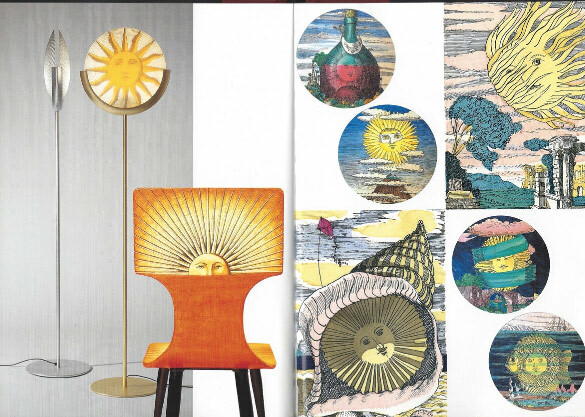 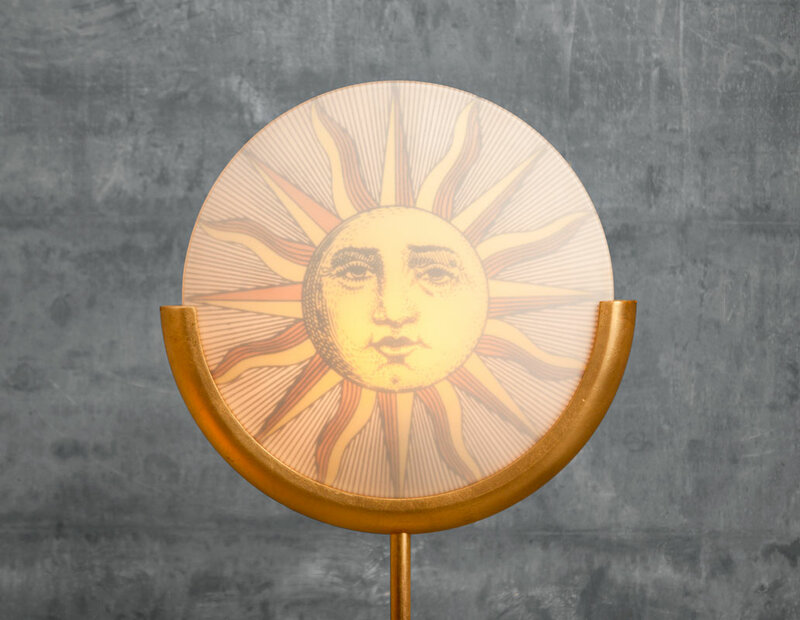 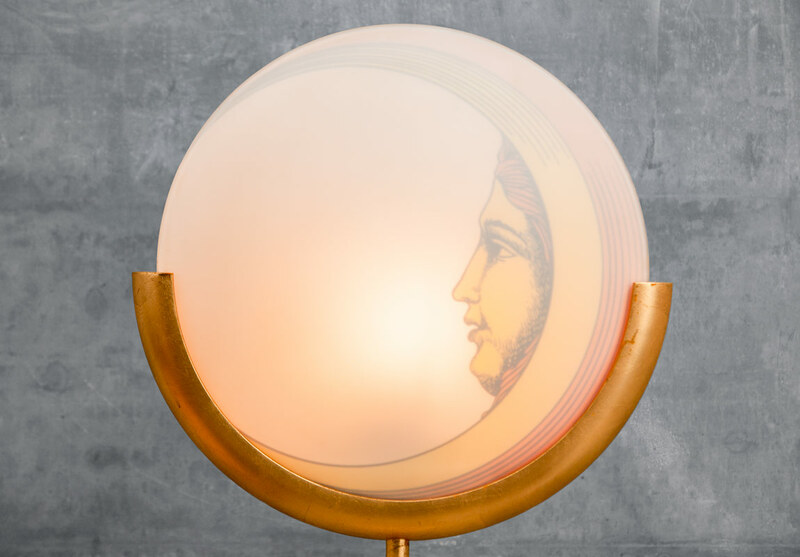 This rare Fornasetti floor lamp is one of ten produced in gilt wood and metal with reverse painted depictions of the Sun and Moon. 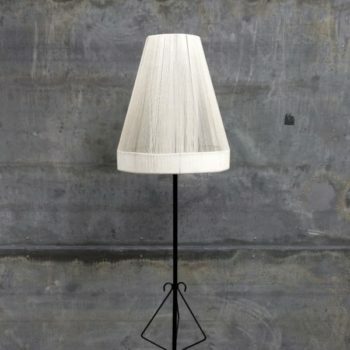 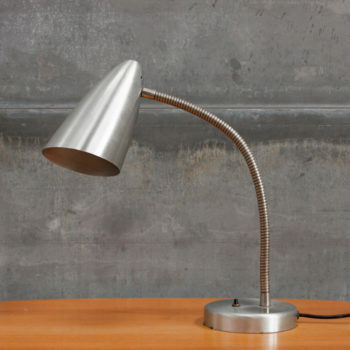 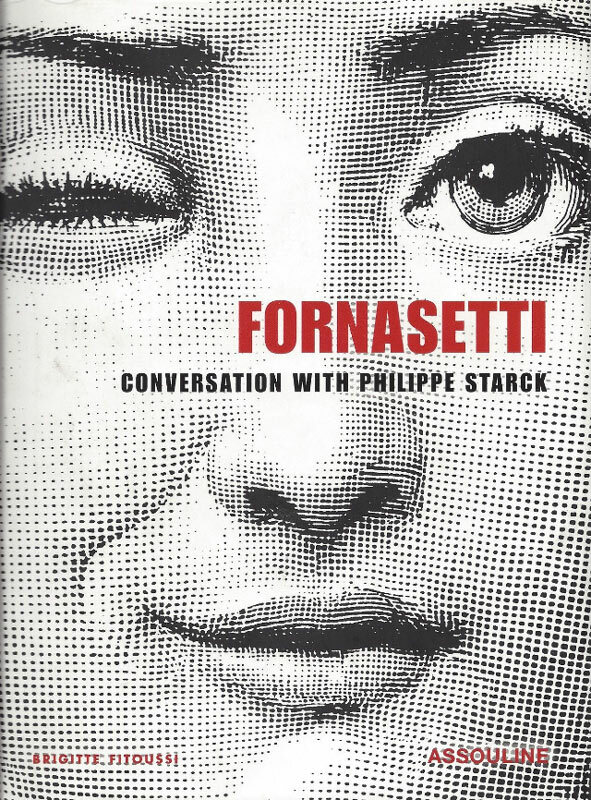 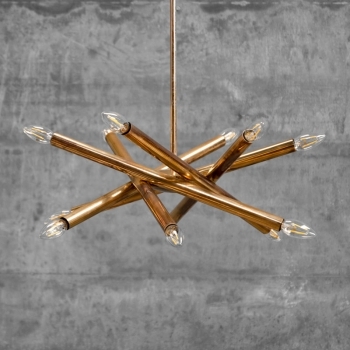 Reference in Fornasetti: Conversation with Philippe Starck. 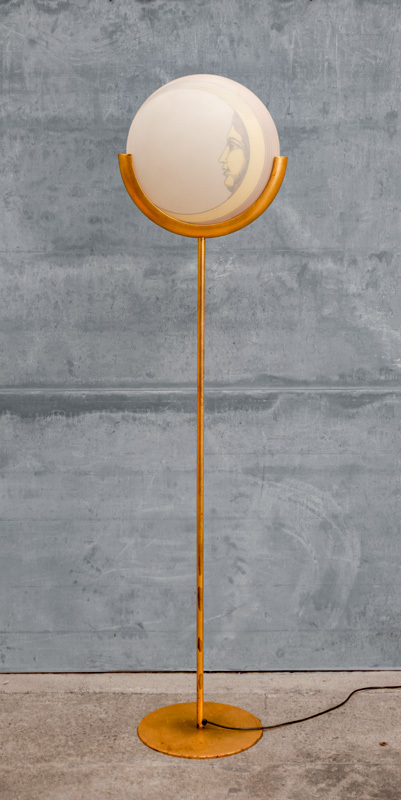 Label underside of base.